The already dramatic story of six American diplomats being smuggled out of Iran after the 1979 revolution is given the Hollywood treatment. 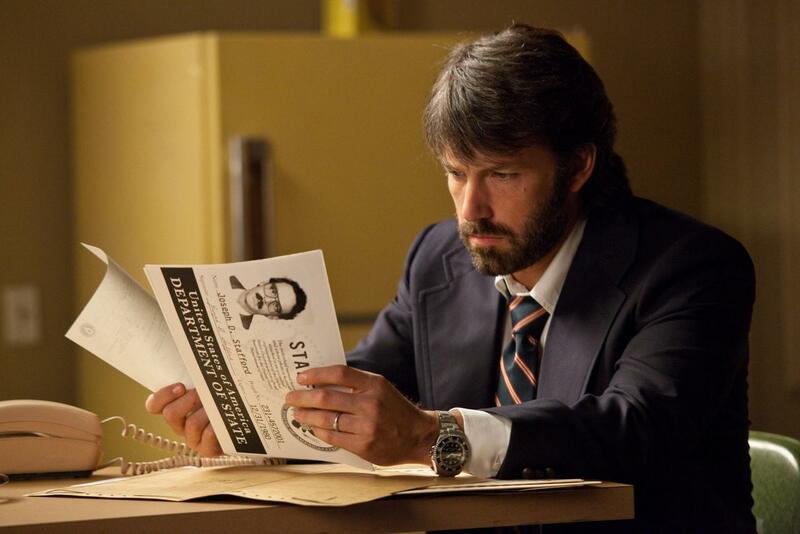 Argo is enticing, but unnecessarily undermined by an addiction to cheap thrills. After the fall of the Shah, Iranian revolutionaries storm the American embassy in Tehran. The visa-issuing section is the only one with street access, and when the main compound falls to the rampaging attackers and the situation becomes clearly dire, six staffers slip out of the back door and take refuge in the home of the Canadian Ambassador Ken Taylor (Victor Garber). All other embassy staff are taken hostage in a drama that will drag on for 15 months. Back in the United States, CIA agent and extraction expert Tony Mendez (Ben Affleck) is tasked with hatching a cover story to help rescue the six diplomats. He eventually convinces his superiors to back a wild-sounding plan: the six Americans will pretend to be a Canadian film crew scouting locations for a science fiction movie called Argo. Mendez turns to producer Lester Siegel (Alan Arkin) and make-up artist John Chambers (John Goodman) to create all the convincing trappings of a fake film, before he travels to Tehran for the serious business of trying to smuggle the Americans out from under the nose of the Iranian revolutionaries. The Canadian Caper, as it became known, made headlines in January 1980 when the six Americans landed in Zurich after a flight from Tehran, surprising the world and providing the only ray of light in the long 444 day ordeal of the US hostages in Iran. Argo presents the CIA's perspective on the episode, underplaying the role of the Canadians and adding a strong dose of melodrama. With the latent power that resides in the real story, it is questionable whether the Chris Terrio screenplay really had to resort to a succession of gimmicks to artificially inflate tension in the film's second half. There are aggressive bazaar encounters, last minute threats of mission cancellation, missing flight reservations, menacing immigration interrogations, and bloated airport runway histrionics, all attempts to inject fake down-to-the-wire drama into the proceedings. But director Ben Affleck gets everything else right. There is a dangerous, raw and chaotic pattern to the opening scenes of the embassy being stormed on the wings of a revolution, Affleck recreating the 1970s both on the streets and in the film's gritty style. Affleck the actor portrays Mendez as stoic in the face of the people he needs to save but not free from internal doubt about the likelihood of success. With the briefest of back stories involving separation from his wife and child, it's a performance short on visible emotion, but no more expression can be expected from a CIA operative specializing in hiding himself and smuggling others out of the world's most dangerous neighbourhoods. 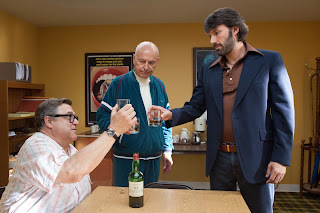 The scenes in Hollywood are funny and sharp, Argo poking fun at the concept of a fake movie production coming together in the world's most artificial town, John Goodman and Alan Arkin doing their parts to bring Hollywood faux glitz to life. The hideaway embassy workers are given just enough definition to rise above faceless victims. Argo is a story that deserved to be told, and the movie captures the comical but deadly current of an almost ridiculous but true mission impossible. But when the drama is inherent, fake externalities are annoyingly superfluous.